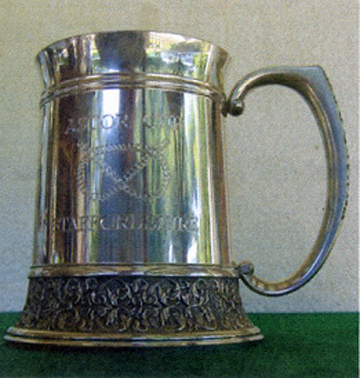 Presented to the Association in 2001. 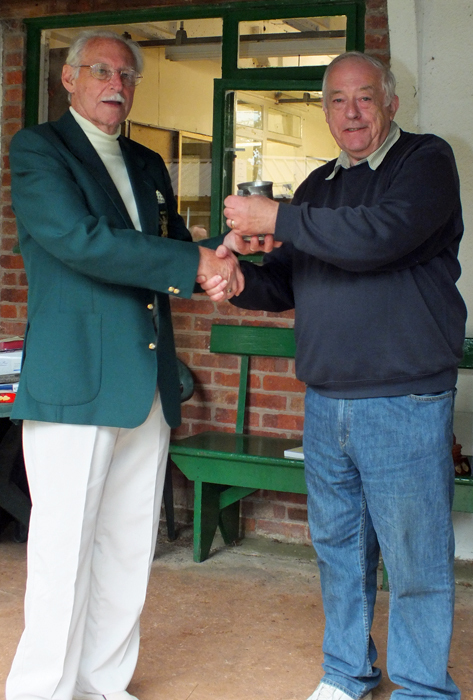 Awarded to the Winning Club Team of 6 Shooters at the Staffordshire Combined Rifle Meeting. 2013 City of Birmingham 2014 City of Birmingham 2015 Chipperfield R.C. 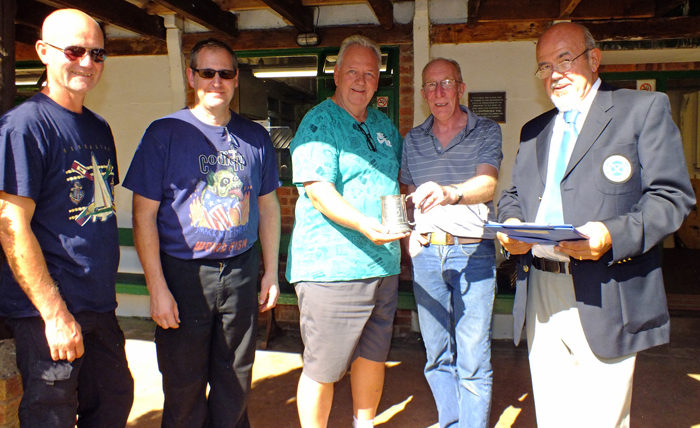 The above photograph shows SSRA Chairman - Richard Tilstone (pictured right), presenting the Astor Tankard to members of Rugeley Rifle Club (pictured left). who gratefully received the award on behalf of City of Birmingham Rifle Club. 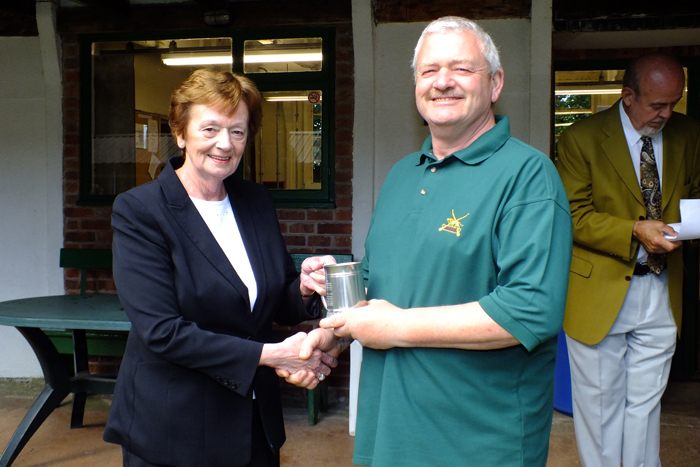 The above photograph shows Mary Jennings, pictured left, presenting the Astor Tankard to Craig Howell, pictured right, who received it on behalf of Market Drayton. 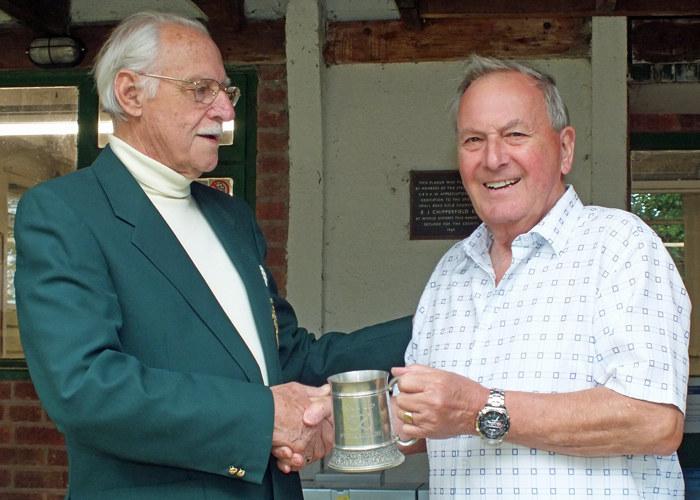 The above photograph shows M. Willcox, pictured right, receiving on behalf of City of Birmingham Rifle Club, the Astor Tankard for 2014 from SSRA President - Major (Retired) Peter Martin, MBE. 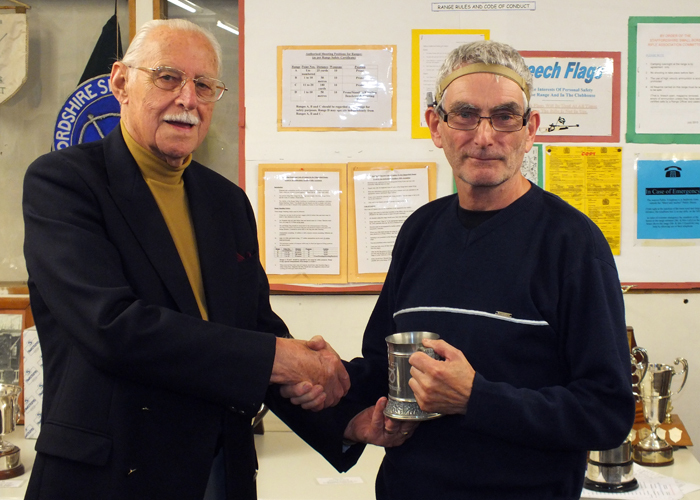 The above photograph shows D. Bayley, pictured right, receiving on behalf of City of Birmingham Rifle Club, the Astor Tankard for 2013 from SSRA President - Major (Retired) Peter Martin, MBE.